Another composition in the Bagdad theater of the archways leading to the balcony. 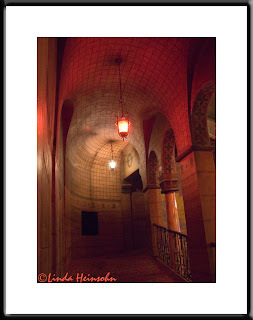 I think the lobby and hallways of the Bagdad are more interesting and more grand than the inside of the theater itself. So that's all I took photos of. I was bracing my camera against a wall at extrememly slow shutter speeds to get this photo. Lucky for me it came out sharp.